When it comest to crafting with paper, our kids are total pros! They’ve adored cut and paste crafts of all kinds ever since they were very tiny and they’re always happy to sit down and get creative with even the most basic of supplies. That’s why we knew we’d be teaching them how to do simple origami the moment they were old enough to have the patience, and that time has finally come! Luckily, we’ve been bookmarking adorable kid-friendly tutorials for quite some time now. Just in case you love the idea of making cute, simple origami projects with your kids just as much as we do, if not more, here are 15 of the most creative designs, ideas, and tutorials we’ve come across so far in our search! Besides loving origami, have your kids also always been big fans of sea creatures? Well, with fantastic movies out there like The Little Mermaid and Finding Nemo, we certainly don’t blame them for a second! Work with that fun theme by helping them make these adorable origami whales that are outlined step by step on Red Ted Art. Are your kids actually just a little bit older so you’re convinced they could easily created something that’s a little more of a challenge? In that case, maybe you’d prefer to make something that has a bit of movement to it instead! 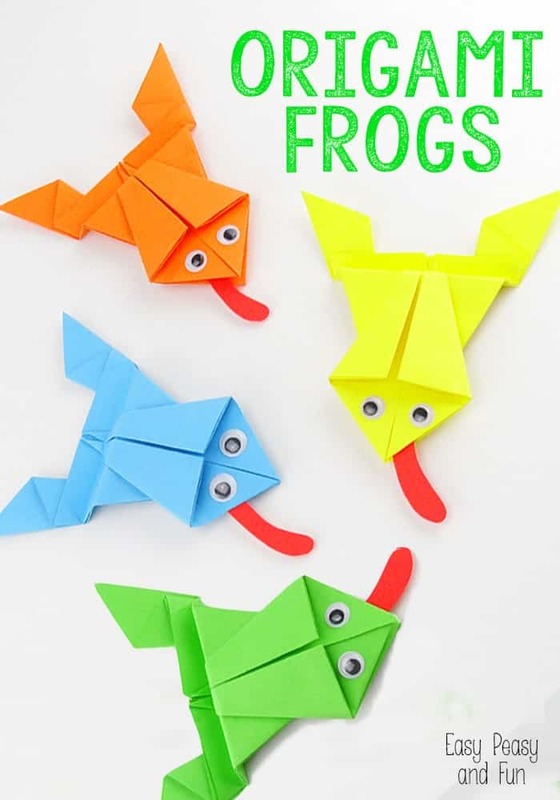 Check out how Easy Peasy Fun made this adorable little frogs that actually bounce a little bit if you press on their back end. Did we really catch your attention when we started talking about jumping paper frogs but you think your kids would actually rather make something that focuses on function rather than cute character? 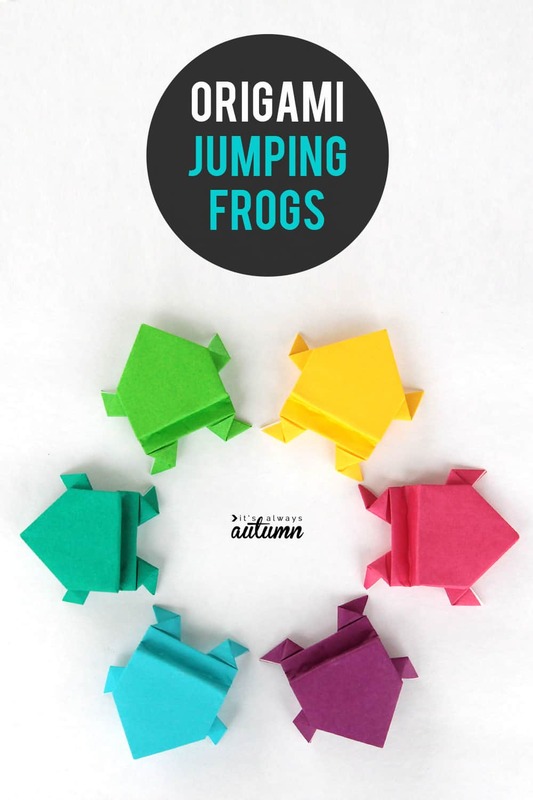 In that case, we think you might actually get along a little better with something like these little hopping frogs featured in detail on It’s Always Autumn! The way they’re folded lets them hop a little higher but they’re also slightly more finicky to do. Perhaps you’re convinced that your kids are actually ready for something a little more challenging but still a little kid friendly? Well, if they’re big fans of colours then perhaps they’d like to try their hand at doing origami projects with more than one colour of paper involved! Take a better look at the tutorial on Frugal Fun for Boys and Girls to see how they made these fantastic origami cubes that feature all kinds of bright colours in once place! Have your kids got a taste in characters and things that’s slightly more whimsical and fairytale-like? Then maybe they’d prefer to make something like these adorable origami butterflies! Thanks you Desch Anja, there’s a way to make them happen that’s wonderfully (and surprisingly) simple to do considering how delicate they look when they’re finished. Perhaps your kids are a bit more in the barnyard animal loving camp than they are in the sea creatures department? Then we think perhaps this tutorial from ChucAnh’s Hobbies might be just the one for you! They guide you step by simple step through the process of making funny little pigs with cute snouts and ears. Add the features and curly tails with a marker! If you’re going to make a cute paper animal with your kids, do you think they’d have a bit more fun mimicking their favourite animal in the entire world, your family dog? 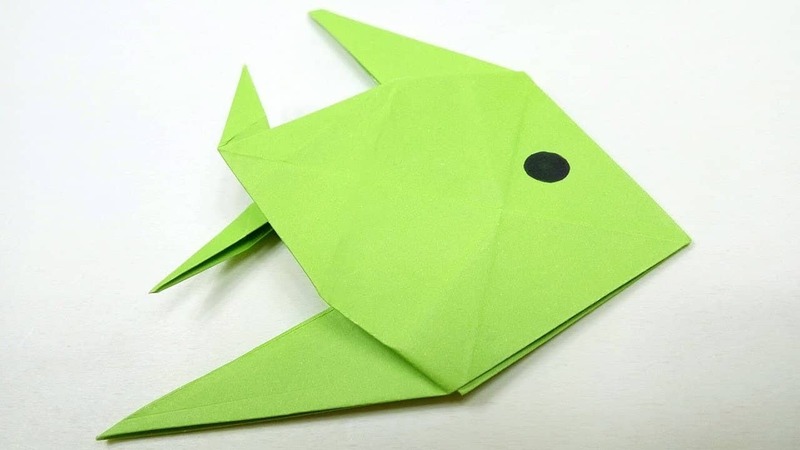 Then we’d be willing to bet that this adorable and incredibly simple origami tutorial from Vikas Ghritlahre will be right up your alley! Take a look at their instructions to see how it’s done in very few folds. Just in case you’re looking for more shapes than just animals, here’s a project that gives you a great excuse to tell your kids how great fruit is! 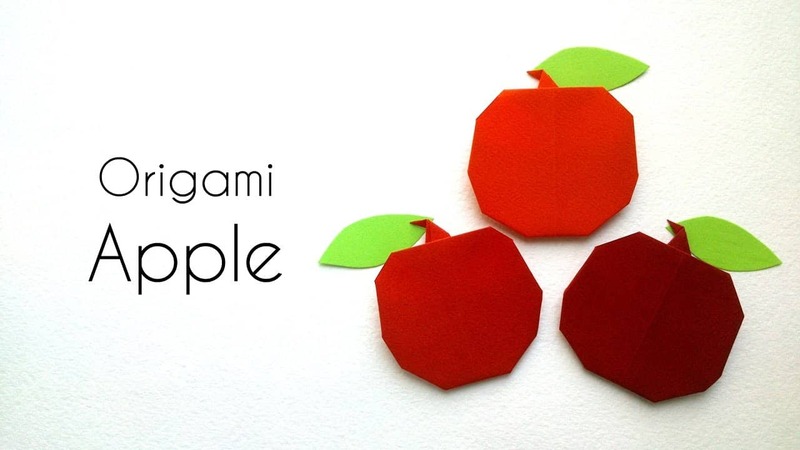 We love this adorable origami apple tutorial from Tatiana Frolova because it’s simple but fun to do and they look like a cute pop art project if you do them in all different colours rather than just the classics you see here. Are you the kind of super organized parent who is always bookmarking seasonal and holiday ideas for your kids to try later, even if it’s not quite that season yet when you find the idea? We actually do that too and it makes us feel good to know we have lots of ideas for later! 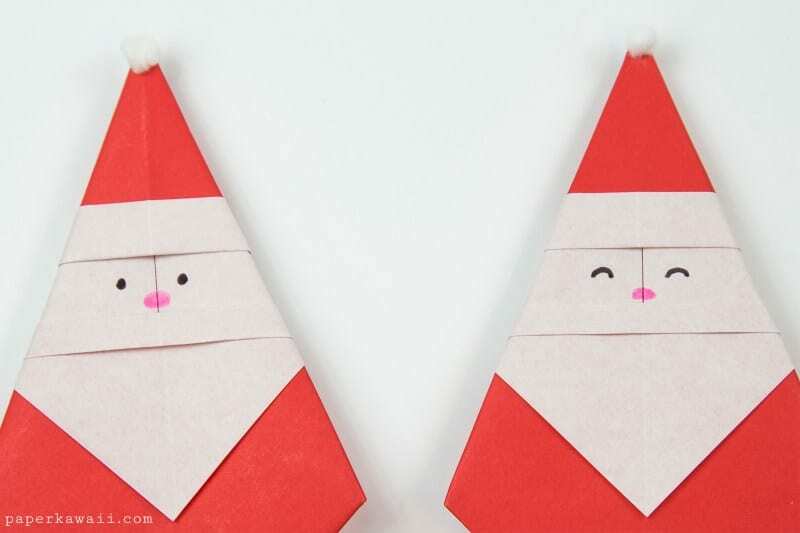 That’s why we couldn’t resist including these adorable origami Santas on our list. Get the details from Paper Kawaii! 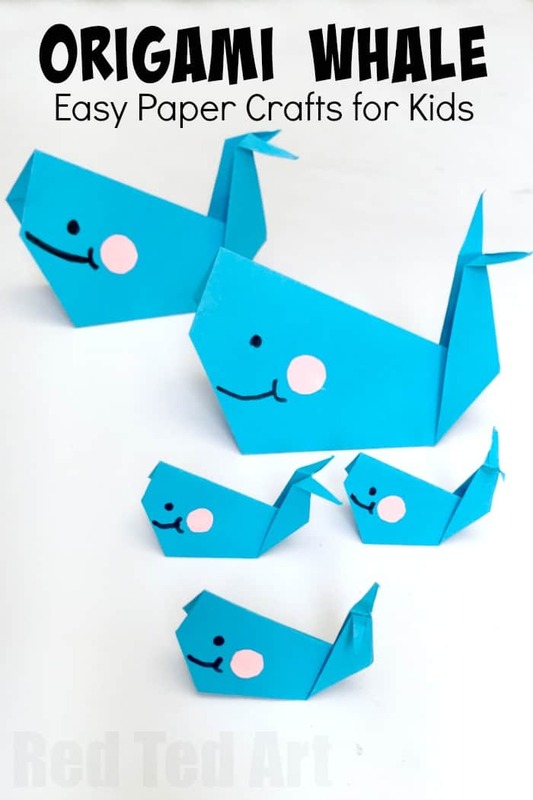 Are you actually still scrolling through our tutorial and thinking about how much you loved the idea of making paper sea creatures but you think the boxy little whales we showed you earlier might be a little too hard for your youngest children? Then perhaps you’d have better luck with something like these cute little fish! Amazing Origami World shows you how to fold a flat sea creature that looks like an angel fish. By this point we’ve talked about all kinds of animals from all over the place, but what about the ones your kids see every day in your backyard? 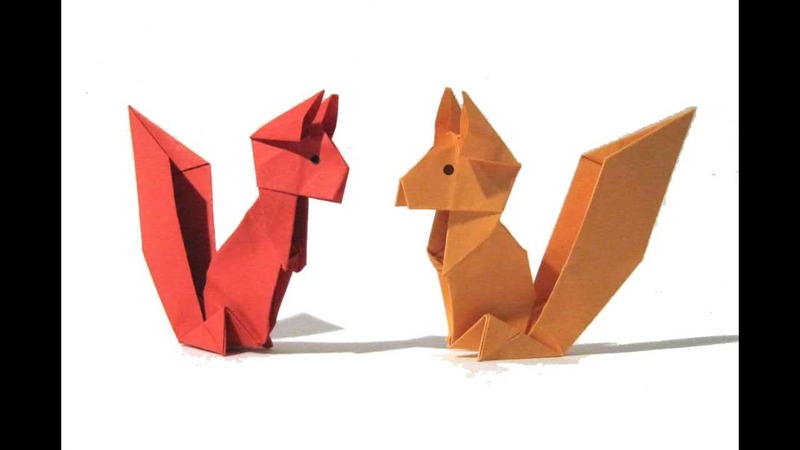 These adorable paper squirrels outlined step by step on Origami Time are the perfect example of what we mean! We can’t get over how cute their bushy tails are. Just in case you’re looking to expand you and your children’s skillset beyond just animals and fruit, here’s a lovely idea that will help you cover your house in adorable paper flowers! 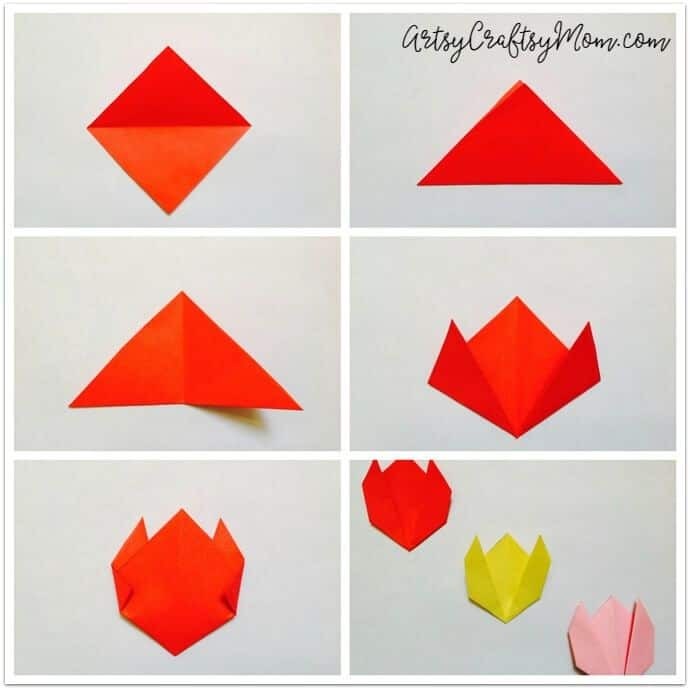 Artsy Craftsy Mom takes you step by step through the process of making cute little origami tulips in all different colours. 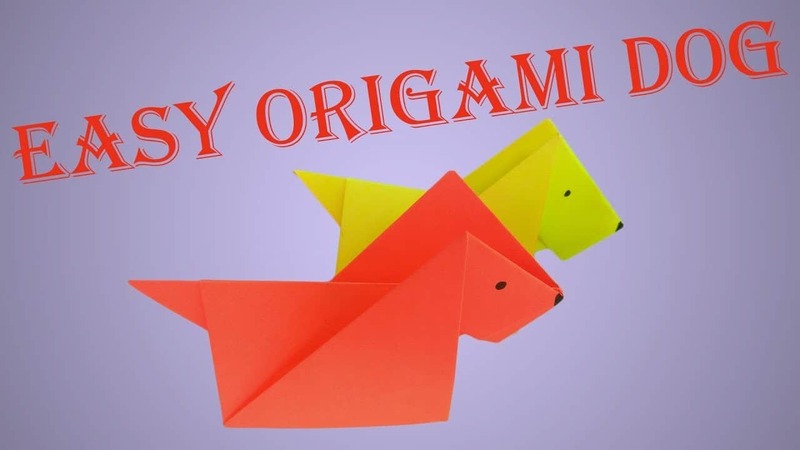 Did we really catch your attention when we started talking about making origami dogs but your kids are very small indeed and you can’t help wondering whether there might be an even simpler design you can try? Then we think you’ll be pleased to see that Tatiana Frolova has precisely what you’re looking for! This little dog is made in just a few simple steps. Perhaps we caught your attention when we started talking about different ways to make origami projects from differently coloured pieces of paper but you think your kids would rather make something besides cubes? 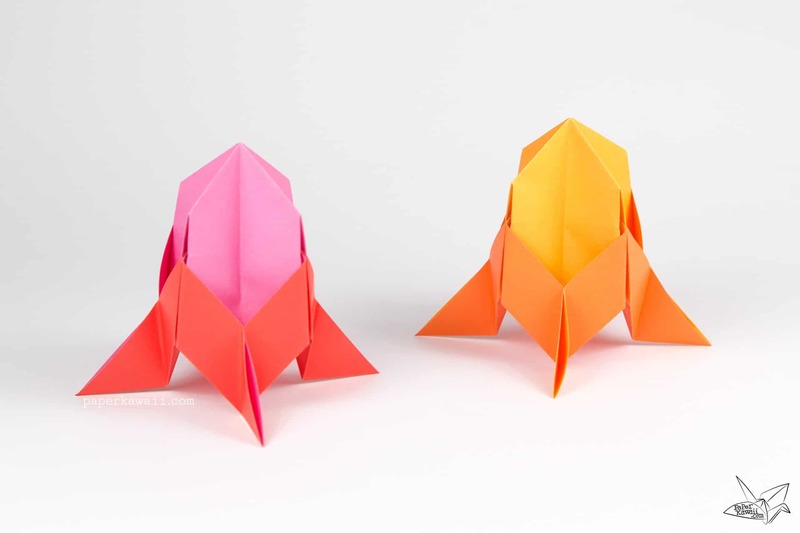 In that case, we’d definitely suggest taking a look at how Paper Kawaii made these super neat dual coloured rocket ships! In our house, the projects that go over the best are usually the ones that are both crafts and toys or dress up pieces of some times. That’s because our kids can enjoy making the thing and wearing or playing with it afterwards! 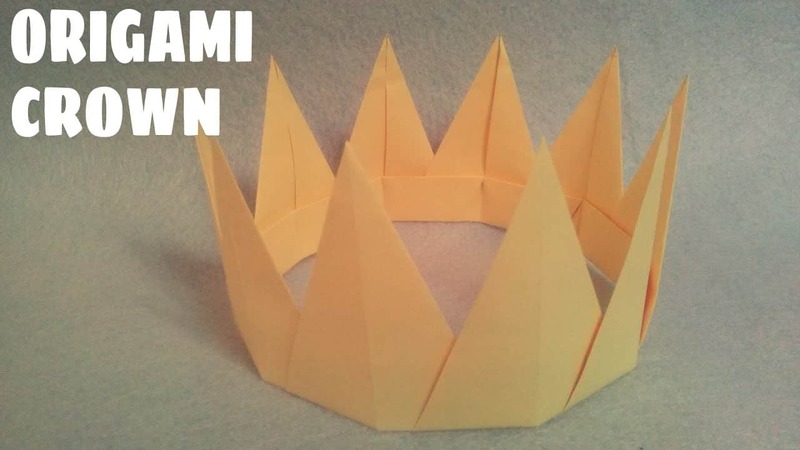 We’re sure you can imagine, then, just how pleased we all were when we found this fantastic origami crown tutorial featured step by step on Craft TV. 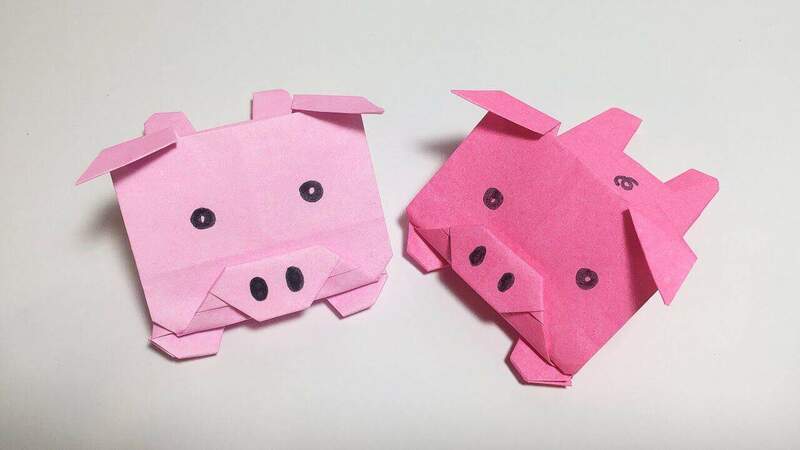 Have you made other kinds of awesome but simply and kid-friendly origami projects with your kids before that they really enjoyed but that you don’t see here on our list? Tell us all about what you made or link us to patterns and photos of your finished work! 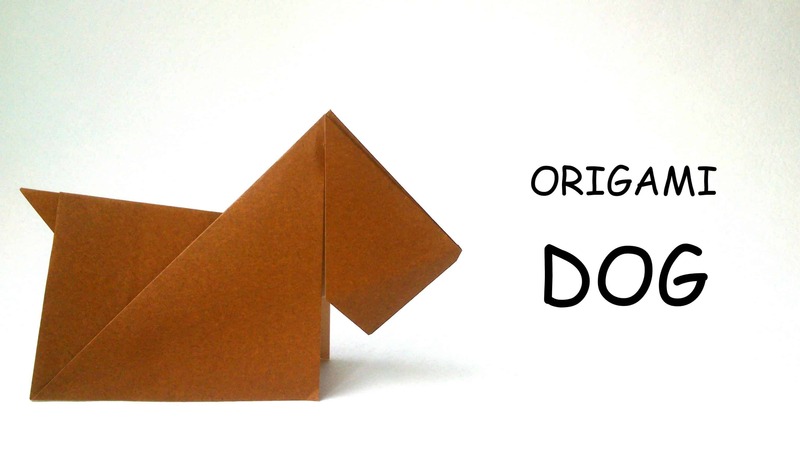 The post Simple Origami Projects for Kids appeared first on DIYs.com.